Buzz absolutely loves practicing as a vet and says it brings a new challenge and another memorable moment every day. He has been a qualified Veterinary Surgeon for 15 years. After graduating from Queensland University in 1997, Buzz started his career working with large and small animals and shortly after, headed overseas to work. During the time he spent overseas the UK had their outbreak of foot and mouth disease. Upon his return to Australia Buzz fullfilled his interest in Critical Care & Emergency medicine spending 8 years working in Animal Emergency Centres on the Gold Coast & Sunshine Coast. Over the past 3 years life has been very busy running and growing the clinic with his partner Brooke. Whilst enjoying all aspects of his job, Buzz particularly enjoys making aged pets more comfortable in their older years ensuring a better quality of life. When not working, Buzz enjoys surfing, travelling, and spending time with friends. He also loves working with timber and on old cars and trucks. He is currently rebuilding an old Ford Blitz truck from world war 2. Brooke has been a qualified Veterinary Nurse since 1997. She has worked within the veterinary industry for the past 20 years in various areas which include veterinary nursing, practice management, sales and nutritional research. Over the last few years Brooke has adopted Titan James a French Bulldog, Tyre a Mastiff Dane cross, Ebony a American Cocker Spaniel, and Blacky a domestic shorthair. The most recent arrival is Uggie the blue cattle dog puppy. After graduating Veterinary nursing, Brooke headed overseas where she spent 5 years working throughout UK and Europe. During her time overseas she operated and owned her own puppy school business servicing the South London region. Working as a locum throughout the UK gave Brooke extended experience in small animal nursing. 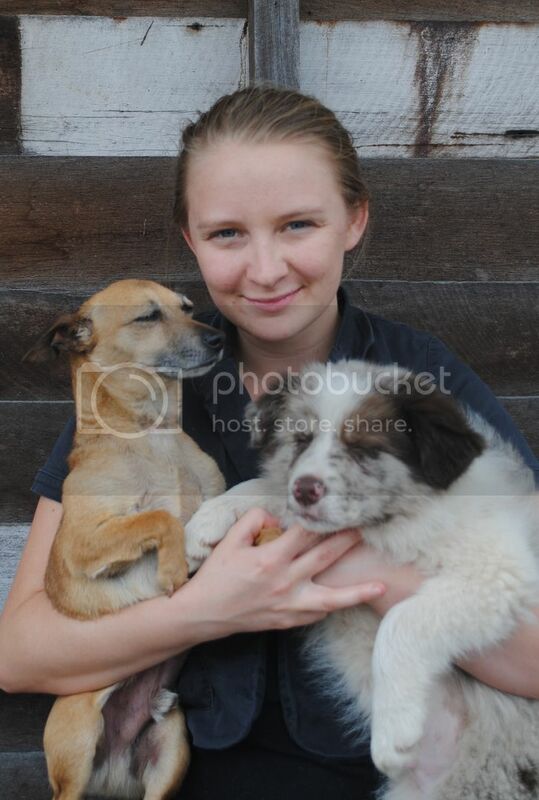 She also volunteered in Thailand to build the new dog rehoming centre. Brooke also loves horses and dreams of one day having her own horse and riding along the beach. When Brooke isn’t busy managing the practice she relaxes by going to the beach or catching up with friends. Brooke has been working as a Veterinary Nurse for the past 4 years, which includes 12 months voluntry work for the RSPCA, and has been with our clinic since it began. She has grown up around animals and has always wanted a career working with them. She is currently studying for her Certificate IV in Veterinary Nursing. She has also completed several modules of a Business Administration Diploma and more recently the Hills Nutritional Advocate course. Brooke has a strong interest in surgery, dentistry and practice management. In her spare time Brooke enjoys going to the beach or spending time with her six horses and her dogs “Buzz” and “Woody”. Chantal is a Certificate 4 Vet Nurse & has experience working in local practices over the last 6 years. She has a passion for animals and is particularly interested in surgical, emergency & critical care nursing and ensuring that patients are content & comfortable during these times. Outside of work, Chantal enjoys riding her horse, Holly, going to rodeos and spending time with her cats Yoshi & Wiska and her dogs Toby & Kiara. Annette is a Cetificate 4 Veterinary Nurse graduating in 1992. She has worked in clinics on the Gold Coast and Sunshine Coast and has a wide range of experience in reception, management & Surgical/Medical nursing. After having an 8 year break to start a family, Annette has returned to Vet Nursing this year part time to enable her to juggle work & motherhood. In her spare time Annette enjoys going camping with her husband & 3 children or riding her horse "Casey". Spending time with her pets, dogs Bindi & Dash, cat Krooza, 3 other horses, birds, chooks, cows etc. is also high on her prioritory list. Kylie joined the team this year as our professional dog groomer and does a fantastic job . She is great to be around and has an infectious smile and a massive love for everything furry ! She has 3 dogs, JJ, Charlie (pictured) and Becky, as well as 3 boys and a husband which keeps her very busy.